Today, I’m welcoming guest blogger Sophie Lizard to Write Your Revolution. Thanks Sophie for such a refreshing, insightful article! Your dream client is visiting your freelance writer website right now, while you’re reading this. They heard about you, they think you sound awesome, and their budget is huge. But… what they read on your website puts them off the idea. They don’t pick up the phone. They hit backspace, and they go somewhere else. But it happens more often than you’d ever like to think. So let’s do something about that, today. I’m sorry. But it’s true about 90% of the time, so I’m saying it. Your business website makes you come across like a dork with a thesaurus. Or a stuffy suit. A cheesy sales pitch. An inexperienced teenager. Or, worse, all of the above. Being too formal. A stilted tone leaves people feeling like they don’t know you at all. Being too pally. No text-speak, LOLcats or oversharing on your professional site! Being too pretentious and sales-y. Hyperbole and pressure tactics repel potential clients. Varying your tone wildly because you’re trying to please everyone. Writing about yourself in the third person: “Sophie Lizard is a freelance blogger and writer…”. Writing about yourself in the first person plural: “Email us and we’ll get right back to you…”. Having your writer site copy written by another writer. 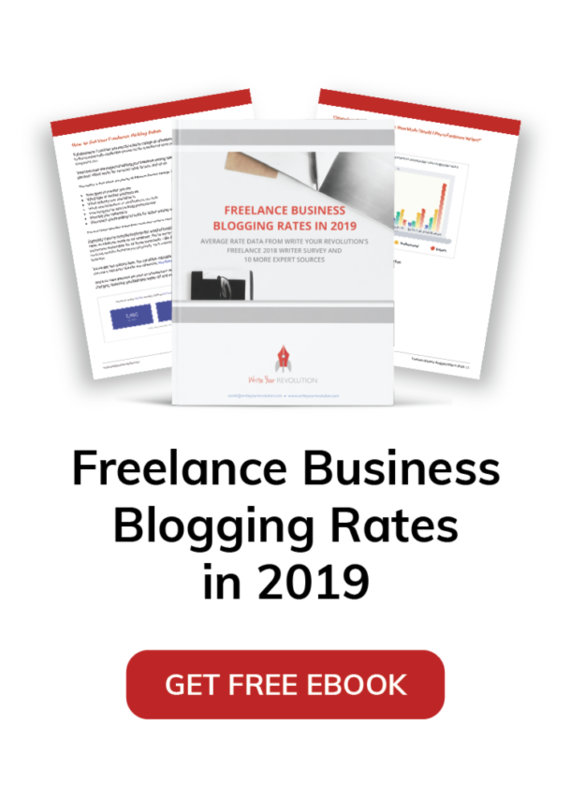 There are exceptions to these guidelines – perhaps your freelance writer website really needs that ultra-formal tone to appeal to your target market. But if you don’t have a clear and simple rationale for your choice of voice on your site, then it’s probably time you gave it some thought. For most writers online or offline, your true voice is your best bet whenever you’re writing about yourself. A potential client visiting your website wants to know more about you. That includes your personality, so that they can decide if they think you’ll be a good fit for their team. It also includes your ability to write a message that rings true for the reader. A clear, genuine message goes a long way, both in writing and in business. What’s the message of your freelance writer website? It’s “Hire me, I’m not an idiot”. You don’t have to state it so bluntly –though I’d be tempted to hire someone who did!—and you can add whatever extra reasons you like, but proving that you’re not an idiot is top priority. Inexperience can be overcome with enthusiasm and learning skills. Ignorance can be overcome with research. Idiocy, though, is not a starting point your client ever wants to consider. If you’re making one of those classic errors of voice on your business website, you may be triggering your potential client’s idiot alert and scaring them off. Don’t worry, you can fix this. 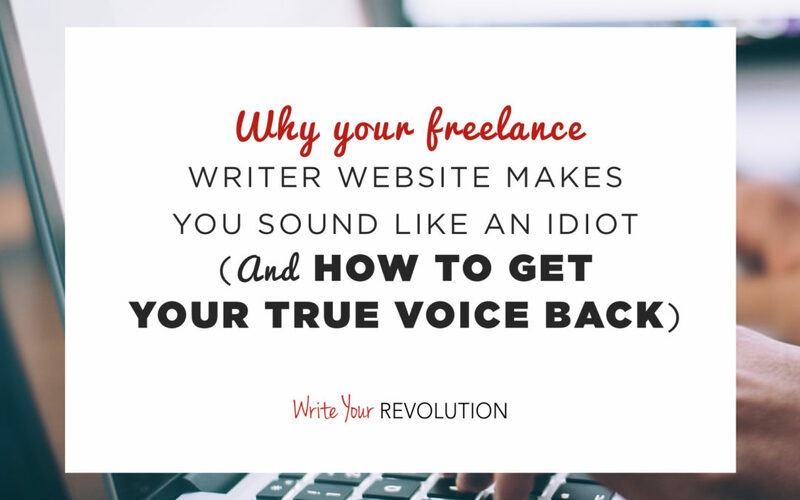 The problem is that the tone you’ve used on your website isn’t your true voice. Ask a friend to interview you about your career, your background and the services you offer. Use the interview as the basis of your web copy, preserving your natural tone when you edit. Read your current website copy aloud to someone who knows you well. Ask them to raise their hand every time you don’t sound like yourself, and you’ll soon see which sections of your copy might benefit from an edit. Define your target markets so that you know who you’re writing to attract. You only need your website to appeal to your ideal clients, so imagine the copy as a conversation with them alone. Look over the websites of freelance writers you admire. Analyse how they’ve infused the copy with their own voice, and note the successful elements you can emulate. When you use your natural voice, potential clients have a better understanding of who you are. You’ll attract projects that suit you, and avoid wasting time on ones that don’t. For once, it’s true: all you have to do is be yourself. That’s gotta be the simplest assignment ever, so let’s get started and give your site some personality! If you have questions, fire away; you’ll find me hanging out in the comments section. 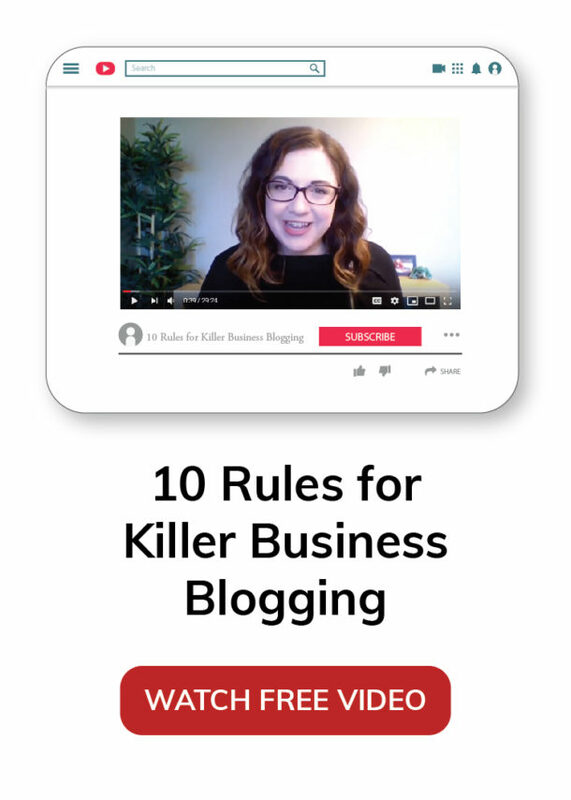 Sophie Lizard is a freelance blogger and writer on a mission to help you increase your income through blogging for hire. Check out her free resource, The Ultimate List of Better-Paid Blogging Gigs: 45 Blogs That Will Pay You $50 or More, to get started! That article certainly gave me pause for thought. I do use the ‘plural’ thing but it’s in reference to the ‘collective’ part of my business. I have other freelancers on tap to resource as needed and hence, the “we” deal. Mark Twain once said “The only people that should use ‘we’ are editors, kings and people with tape worms.” An ‘lol’ may be given a pass here. I’m certainly not royalty by any stretch and as far as I know, not playing host to any invertebrates. I’ve been known to edit on occasion, however. Thanks again, great article! What a great article with the greatest headline I’ve seen in a while. How timely it is too, since I’m working on my first freelance writer website. Thank you Sophie. Thank *you*, Barb. Glad you found me at the right time! If you’d like more tips on how to build a strong freelance writer portfolio on your site, check out this post. Your point about visiting a colleague’s website is well taken. I did that with someone I really respect, Their copy reads like it was waiting for clients to show up. A business tone with a personal voice. THAT’s how successful sites attract and keep customers. Thanks so much for this article, Sophie. I really enjoyed it. And many thanks to Sarah for inviting you. You ladies have an AWESOME weekend!!! Hi Michael, thanks for taking the time to leave such a lovely comment! Yep, that third person thing is a real passion-killer. Makes it look like either (a) you didn’t write your own copy, or (b) you did and you’re a standoffish weirdo. Clients want to hire someone who can charm the socks off their market, not put it to sleep! Oh dear! I did the third person thing, thinking it sounded more professional, but have been unhappy with it. Sounds odd to my ear and now I know why. Thanks, will be making repairs tonight! This blog finds me just as I am in the middle of revamping my website. Originally, I couldn’t decide between third person and first person but I went with third person because I use a company name (Kimberly Jones, Literary Artist) for my site and not just my own name. It sounded bizarre, to me, to refer to myself as “Kimberly Jones, Literary Artist” without using the third person. I think we, as writers, have a harder time writing about, or for, ourselves and, thus, the natural inclination toward third person. I do agree with you, though, that a writer’s website has to be well-written and not stodgy. I get so frustrated when I see a stodgy website, unless your target market is B2B finance, engineering or some other “stodgy” industry. But, even then, you can write for humans. I find myself so fidgety with my home page that so often I find myself changing a few words and phrases every now and then…. Thanks for posting this very timely info.! Recently I was interviewed by Costco Connection Magazine and realized my site would be getting many more “hits” once the issue was printed. I just went back to evaluate my blog and I’m not guilty of the “we” or the “third person” sin, but I’m definitely sounding like anyone else but me! Great post, Soohie -thank you. Hey Sophie. Nice catching you here. Such great post – thanks.